When the market is correcting this badly, buying high-risk stocks could prove fatal to a portfolio — but they could also give that investor a huge return, if things work out right. 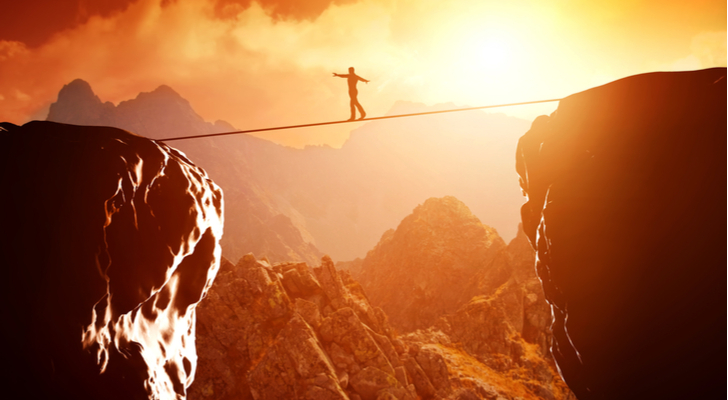 An investor looking to gamble on high-risk stocks has several types of securities to consider — maybe they want to go for explosive growth from a small-cap stock or dare the danger in a high-yielding dividend stock. The latter choice could bring better results. Companies that pay a dividend will need consistent, growing cash flow to reward its income investors. But the danger comes from how that yield often winds up elevated — it’s because the stock has been, rightly or wrongly, beaten down. If you’re not sure where to start, here are seven high-risk stocks that have long-term potential. CenturyLink (NYSE:CTL) has a $16.7 billion market capitalization and the stock currently yields 14%. The stock hit a 52-week high of $24.20 in August, but it began dropping, and the selling accelerated after it broke below the $20 level. What is wrong with CTL stock? CenturyLink’s dividend looks well-covered by free cash flows. Its enterprise revenue fell by only 2.5% annualized. This suggests that although the interest expense on its debt is around 60%, the company’s dividend is sustainable. A bigger problem seems to be that when AT&T (NYSE:T) and Verizon (NYSE:VZ) were down in recent sessions, the market sometimes sold CTL shares, too. But the converse is also true: if markets find some footing and start rallying, Centurylink’s dividend yield will fall as its share price moves higher. 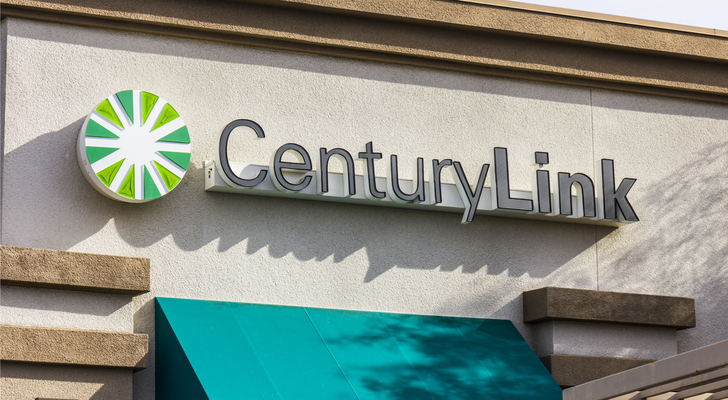 CenturyLink does have a sizable debt load, but its juicy yield will reward income investors who believe the stock is trading at a discount. At the UBS 46th Annual Global Media & Communication Conference in December, it reaffirmed the dividend. It has a huge, global fiber network and is positioned to benefit from higher data telecom traffic demands. Prospect Capital (NASDAQ:PSEC) fell from a yearly high of $7.60 (reached on Aug. 30, 2018) to trade recently at $6.35. The stock’s dividend yields 11.3%. PSEC stock got caught in a downdraft as business development companies fell alongside the market’s decline. BDCs are commonly held by income investors but are also a bellwether for investor interest in corporate credit. On Nov. 29, Prospect Capital priced an offering of $50 million notes, which pay 6.875% and mature on June 15, 2029. It will use these proceeds to pay down debt. PSEC needs an ROI of at least that interest rate (6.875%) to break even. Historically, its ROI is in the 3%-4% range or so, after accounting for losses. Markets viewed that issuance as a negative event. Management chose to refinance rather than to buy back its shares at lower prices. This would have lowered the share count and reduced the dividend payment costs. By keeping its management fee steady, PSEC risks alienating its shareholders. This is why the stock sold off. And by taking on loans at higher rates, the company signals it is a riskier holding than its peers. Investors who believe the company is on the right path with its recent financing will get rewarded if the stock rebounds. Even a management fee cut would help lift the stock price. In the cigarette sector, risks are elevated because of regulatory chances and concerns over giant tobacco firms investing foolishly in weed stocks. Those fears pushed Altria Group (NYSE:MO) stock from $66 to sub-$50 in under two months. After acquiring part of Juul through a $12.8 billion minority investment and investing in Cronos Group (NASDAQ:CRON), management said it would trim costs. Altria aims to cut costs by $500 million-$600 million in 2019. This would offset its interest expenses related to the Juul and Cronos investment. For the full-year 2018, Altria forecast EPS of $3.95-$4.03. MO stock is down big in recent sessions because the company forecasts 2019 EPS growth at the low end, at below the 7%-9% target. Catching the bottom in Altria has its risks, but those who buy the stock at this level will get a dividend yield of 6.5%. Philip Morris (NYSE:PM), similar to Altria, is down close to its 52-week lows, pushing its dividend yield to 6.8%. This stock also looks like a falling knife, so the risks are high that the selling could continue. What will turn the share price around? Philip Morris forecasts a 2018 full-year EPS falling within the $4.97 to $5.02 range, below the $5.03 consensus. So now that the market has priced in the lowered outlook, the stock should have no premium priced in if the company beats expectations. PM shares are also down because of uncertainties over the FDA taking its time on IQOS. The company cannot bring the IQOS tobacco-heating device to market until it gets government approval. Earlier this year, an FDA advisory panel said that Philip Morris did not show that this device would result in a measurable decline in death or disease. Approval of IQOS may reverse the stock’s decline. At its current 15.7 times P/E, the stock’s only risk is the market discounting the stock even more and pushing it lower. New Residential Investment (NYSE:NRZ) traded in a range from May to the end of November at between $17 and $18.75. The stock only accelerated in its descent into December, following the general market decline. Even after a capital raise of $433 million on Nov. 1 did not hurt the stock by much. Yet markets do not seem to care that the stock’s dividend yields 14%. The “falling knife” pattern on the chart will scare investors into thinking the stock is risky. NRZ stock valuations are very favorable at 0.9 times its book value. Still, the riskiness comes from a possible recession ahead in the U.S. markets. That fear, which already sent NRZ stock to new yearly lows just a couple weeks ago, could reward buyers. If economic growth does not slow as much as expected, shareholders will get to collect a double-digit dividend while waiting. 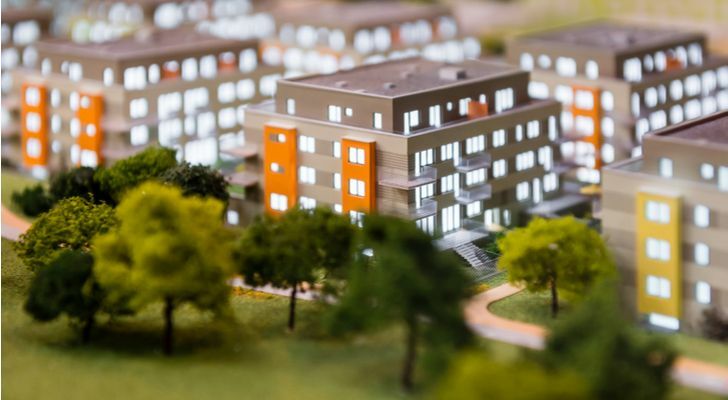 In the third quarter, New Residential Investment reported non-GAAP EPS of 63 cents. Net interest income fell 3.6% to $262.72 million. The company may report another earnings beat in the next quarter when it posts results on Jan. 24. Plus,NRZ management should put the capital raise it did last month to good use. Long-time investors who buy the stock regularly on dips could help shares form a bottom. And the healthy buying of the share issue signals that the investors have confidence in the company. Pitney Bowes (NYSE:PBI) trades at a market cap at just over $1 billion and sports a dividend yield north of 12%. On Nov. 1, the company reported third-quarter revenue rising 14%. Business services sales rose 58.3% while equipment sales fell 2.5%. And PBI stock rallied at first after the results … only to give up those gains. The market quickly forgot about the company reaffirming fiscal year 2018 guidance. Pitney Bowes sees revenue rising 11%-15%, adjusted EPS will be in the range of $1.15-$1.30 and free cash flow will be $300 million-$350 million. Why is PBI stock so risky now? The company long-term debt load is higher than conservative investors would like, at over $3 billion at the end of Q3. Meanwhile, Pitney Bowes held $815 million in cash at the end of the quarter. PBI stock could recover as SG&A cuts, higher R&D expenses and revenue growth in its business services lead to better cash flow. Global Ecommerce grew 120% to $233 million due to the inclusion of strong fulfillment and parcel volumes. Newgistics revenue grew 19% and is a segment the market is ignoring. On a pro forma basis, though, PBI reported revenue for Global Ecommerce growing 10% Y/Y. The Global Ecommerce unit is showing plenty of promise. Management diversified the portfolio and client base. By offering shipping APIs and the Newgistics business, the company may bring in higher growth. Still, the unit is a small part of the overall portfolio. It added $14 million in EBIT, while EBIT margin was negative 6.2%. Investments in automation, network optimization, technology upgrades and simplification will offset the higher costs (such as higher transportation labor costs). 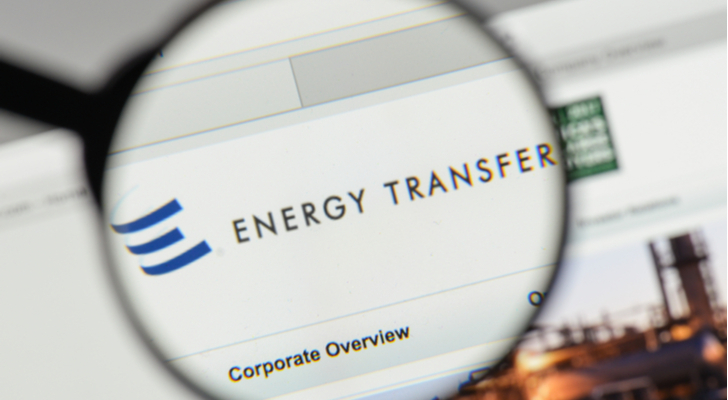 Energy Transfer LP (NYSE:ET), whose market capitalization is $35 billion, spent most of 2018 in a wide trading range between $14-$18. This pattern broke down in November, when the markets started to break down. Plus, the drop in oil prices hasn’t helped ET shares, either. Energy Transfers is a fully integrated platform that spans the entire midstream value chain. These assets allow the firm to sell NGLs, gas and crude. Though the short-term outlook is unfavorable due to the drop in oil prices, the long-term prospects keep getting better. Management is completing a multi-year capital expenditure program that will lead to strong EBITDA growth from its projects. These projects come online through 2020. ET shares do not trade in a way that rewards the company for its stable cash flow profile. But higher retained cash flow of $2.5 billion-$3.0 billion annually will cover the distribution. So, if investors are willing to bear the risks of energy stocks trading out of favor for a while longer, they will get rewarded a steady dividend. Looking ahead, ET stock will continue to trade at EV/2019 EBITDA that is at deeper value than its competitors. As of this writing, Chris Lau did not own shares in any of the companies mentioned. Article printed from InvestorPlace Media, https://investorplace.com/2019/01/7-high-yielding-high-risk-stocks-with-long-term-potential/.